May 7th, 2011 Daily Photo. 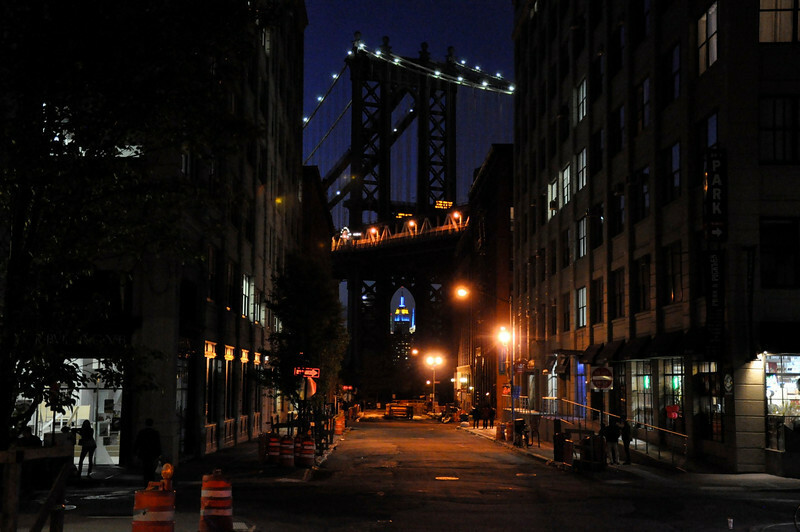 Manhattan Bridge with Empire State Building in background as seen from DUMBO (Down Under the Manhattan Bridge Overpass). Great shot, I love it!! Though I would have cropped some of the left and right sides of the photo away to make the center (which is the shot) bigger. awesome capture! super framing on the Empire State Building. very cool perspective! Great how you captured that slice of the bridge -- wonderful night scene!